When to start – to be determined. The power of your mind unveiled in the book of The SECRET. Apply the Law of Creation/Universe, watch good things come! As this law is the Science which has its formula, just like the Gravity is certain, the outcome of SUCCESS is certain. Expect a natural quantum leap of SUCCESS, along with money coming to you everyday easily like breathing for a lifetime! Then you practice it for another 21 days – keep a journal. In the 3rd 21 days, you come back to revisit the program in your new reality, to share and ask any questions, this will continue to propel you to master The Secret scientific techniques into your thinking system. Get total clarity of present, past and the future. Stop the pain to experience blessings right away. Learn/ Master: How to release internal mental blocks, disappointments and fears . Learn/Master: How to focus, what to focus scientifically and expect a definite Success. The materials for this program are from the book called The secret behind the secret – the science of getting rich also selected movie and video clips, featuring the world class millionaire teachers around the world. Show that the right to life incl. the right to be rich. Tell why in full. Is it right to be content with honest poverty? If not, why not? How rich do you want to be? Explain what a complete life is and how riches essentials to complete living. In which department of your life-body,mind or soul- do you feel the greatest lack? What causes the ownership of money and property? Prove that getting rich is not the result of superior talent. Prove that getting rich is not the result of saving or thrift. Prove that getting rich is not the result of doing things that neglected or overlooked by others. Prove that doing things in a certain way is not too difficult to follow. Show how much location is important in getting rich. Show that opportunity can not be monopolized. Prove that the world’s workers have their future in their on hands. What is meant by the “invisible supply”? How does thought create from the formless substance? What is man, and what power has he? Repeat the summary from page 22. Do you understand it? Do you believe it? How can it be proved? What are the basic fact behind all appearances? 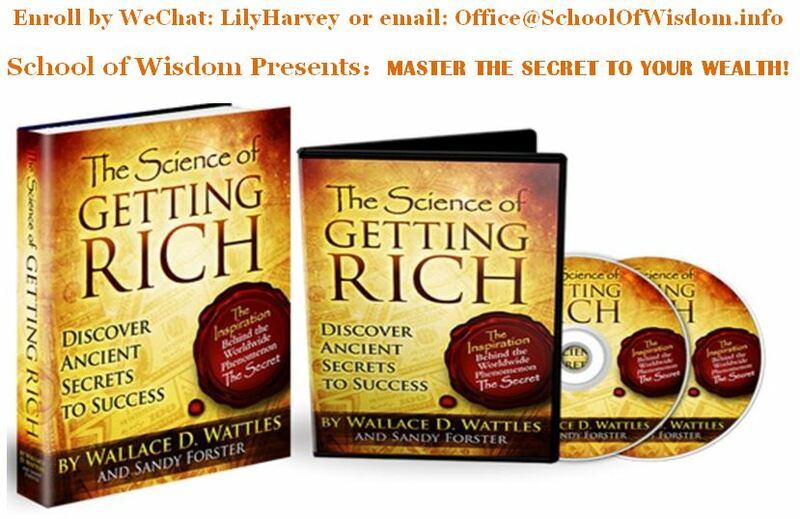 What must you do and what you must beleive if you are to practice the science of getting rich?